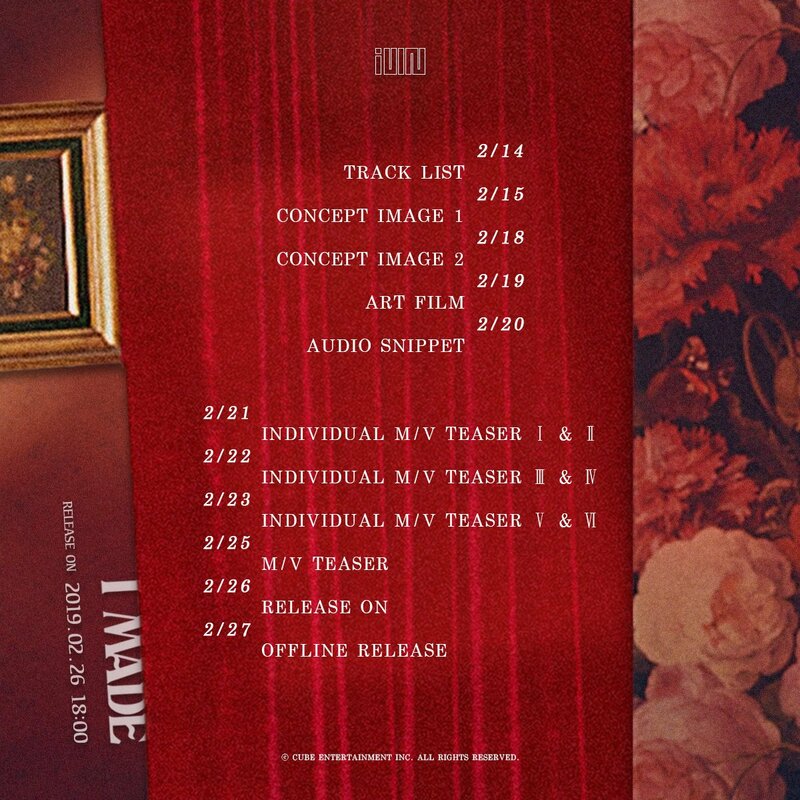 On February 11th, (G)I-DLE has released a scheduler for their upcoming comeback ‘I Made‘. Check it out below! Leading up to their comeback, the group will release two concept photos, an art film, audio snippet, individual MV teasers in pairs, and an MV teaser. (G)I-DLE will make their comeback on February 26th with their second mini album ‘I Made‘. Fans have been highly anticipating a comeback since their hot debut last year with ‘Latata‘, the title track of debut mini album ‘I am‘. Between then and now, they had only released the digital single ‘HANN‘. Fans are excited to see the different sides of this rookie girl group soon. Are you excited for (G)I-DLE‘s long awaited comeback with ‘I Made‘? Let us know in the comments below.